CHICAGO (August 16, 2017) -- Seyfarth Shaw LLP has been honored with the 2017 Innovative Law Firm of the Year Award, presented Tuesday evening by the International Legal Technology Association at its annual awards gala. Among the industry’s top honors, the award recognizes the law firm that delivered the greatest business value and transformational impact through innovations within their organization. 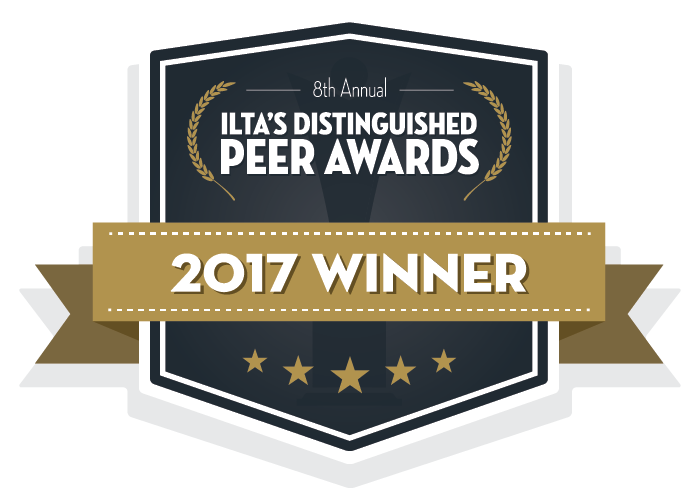 This is the second time in five years that Seyfarth has been named ILTA’s Innovative Law Firm of the Year, previously earning the award in 2013. “We are proud to be at the forefront of technology that enhances what our lawyers do best: counsel and serve our clients,” said Pete Miller, Seyfarth’s chair and managing partner. Development of the “Ask Lee” chatbot for the firm’s SeyfarthLink client collaboration platform, which can answer support questions around the clock, and do so faster and more efficiently. To learn more about Seyfarth’s Robotics Center of Excellence, visit the animated video here.